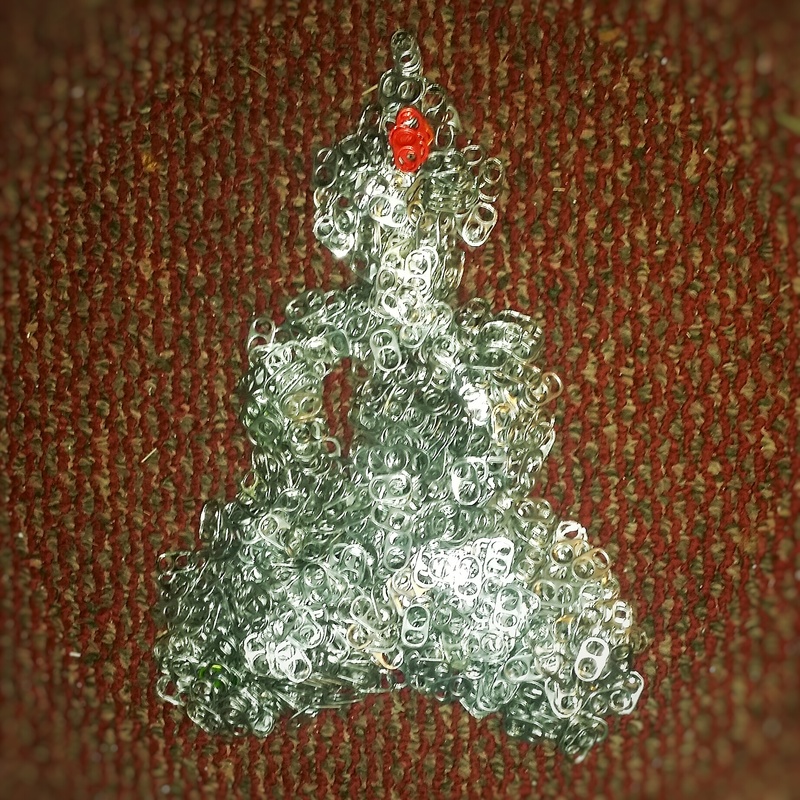 The story: rhiannon’s school had a contest to see which kid could gather the most soda tabs. She didn’t get very many since we don’t drink much soda, so we thought we would start saving for future contests, but there hasn’t been one for two years. Still we keep gathering them…we have a newspaper bag 2/3 full.